David has over 15 years of entrepreneurial leadership in commercial real estate. Previously, David served as head of a local private development company where he was involved in all aspects of the development process including design, zoning and entitlement, environmental remediation, financing, construction, and many other aspects of real estate development. 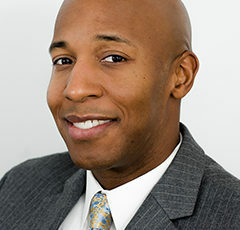 Mr. Stubbs has also worked as an advisor to various real estate entities providing services such as facilitating land transactions, financial analysis and pro forma underwriting, feasibility analysis, creating deal capitalizations/structured financing, structuring of Public-Private Partnerships, preparation of pitches for capital raising and debt placement, and assembling request for proposal submissions. In addition, he has served as a principal of multiple P3 development entities throughout the Mid-Atlantic. Mr. Stubbs brings a plethora of experience and resources that allow for creative problem solving and the ability to capitalize a large range of commercial real estate projects.